If you have a Rockstar Games Social Club account, log in to "stalk" profiles and there appears to be a comment feature (although it says your comments are moderated). Much like the recent updates to the Social Club, you can share LifeInvader posts with Facebook, Twitter, or get a link. Finally, there is a LifeInvader theme version of your Social Club profile available now too. It can be changed on your profile top-right just under your games played. Will our actions on this real life website appear in-game? A few businesses are offering discounts to their stalkers that Rockstar has confirmed will be for GTA V's story mode. Join the discussions in the forums! A few of the profiles have updated. 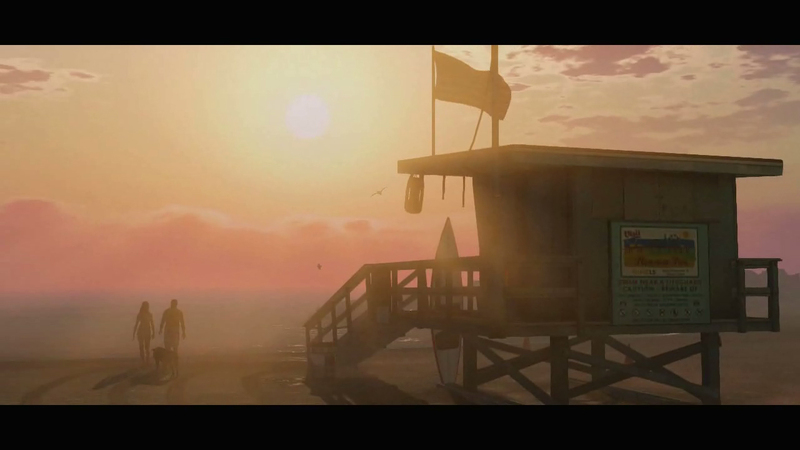 Rockstar has confirmed that the discounts offered by some profiles are for GTA V's story mode. A few people have had issues. I'm not sure if it's a certain browser or what. @Royaltyz Yes you can, if you have a Social Club account. 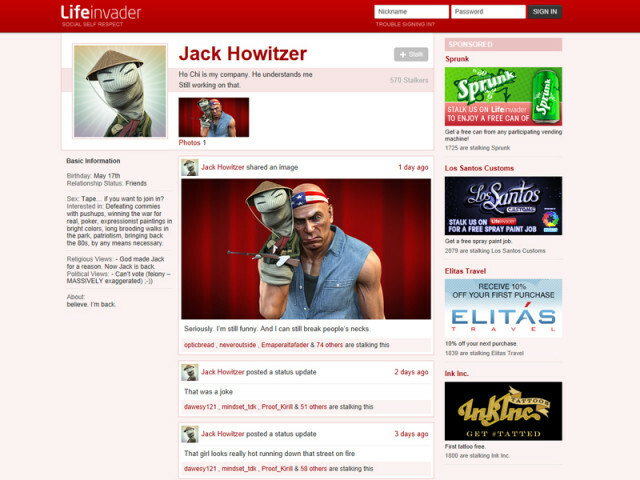 LifeInvader.com Now Live (In Real Life) - Rockstar reveals a real life version of LifeInvader.com complete with profiles and strange things on those profiles.